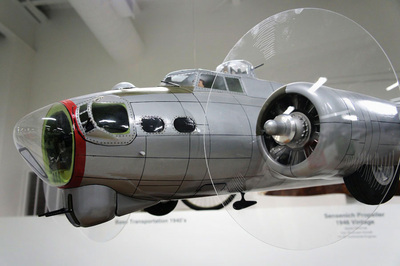 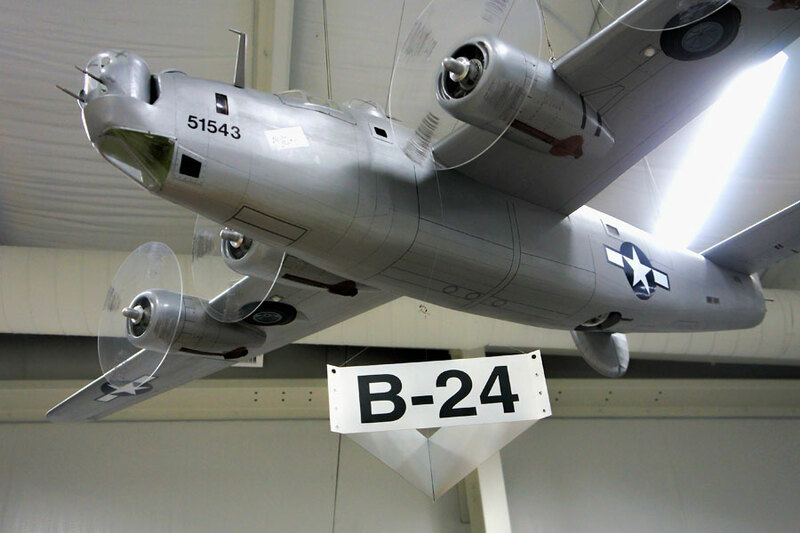 The Atterbury-Bakalar Air Museum has one-of-a-kind scale aircraft displayed in the museum gallery, all of which were handcrafted by Joe and Glenn Grube and painted by Charles Abbott. 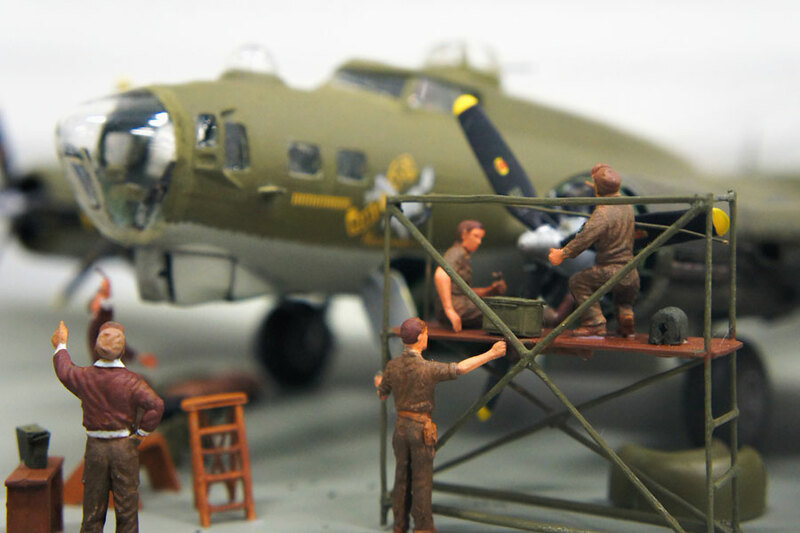 Thousands of hours of work and meticulous attention to detail is invested in these 1/8th scale aircraft. 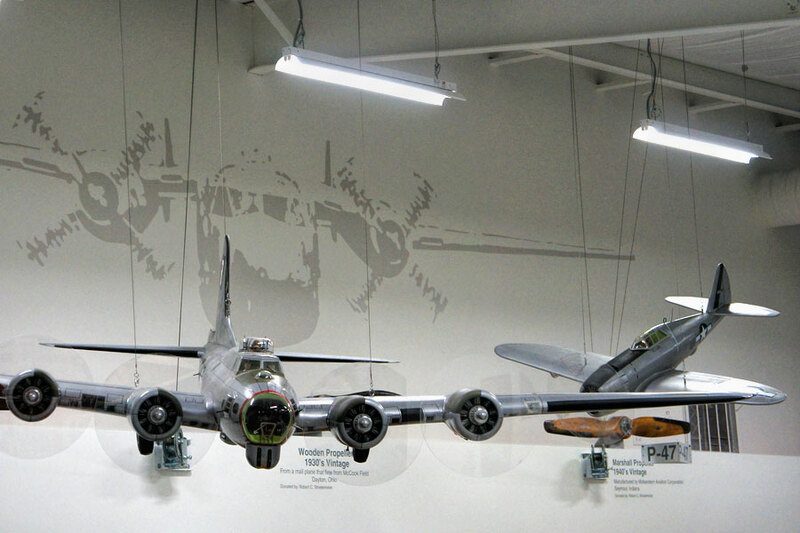 Each aircraft represents a period of time at the former air base or an aircraft flown by one of the museum volunteer staff. The 1/4th scale Wright Flyer was constructed to represent the beginning of powered aviation and is displayed in the museum lobby. 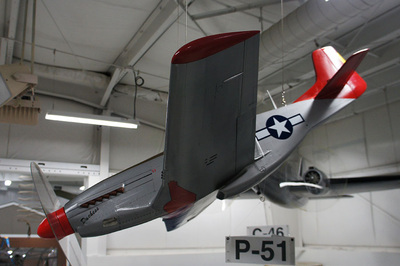 Some of the display scale aircraft have wingspans up to fifteen feet. 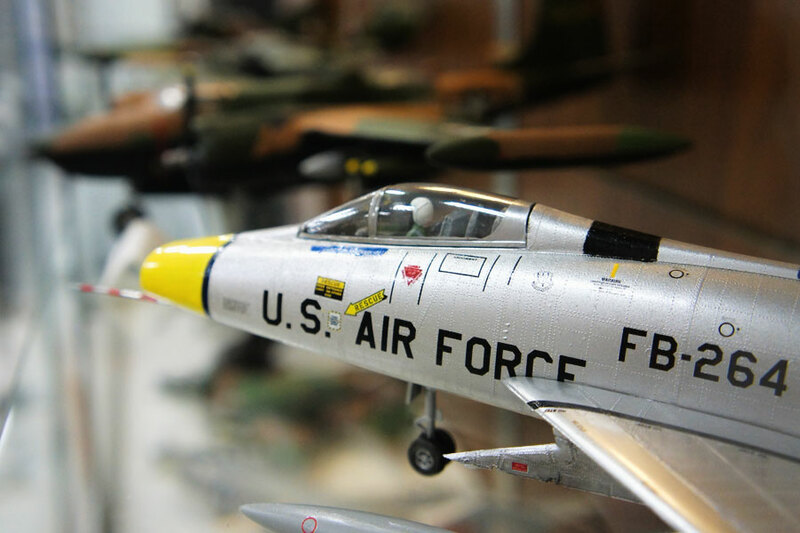 These are not run-of-the-mill model aircraft, but are to-scale replicas with amazing detail to aircraft type, paint schemes, lettering and numbering to squadron and group. Without a doubt, this is one of the best collections of this type in the United States. 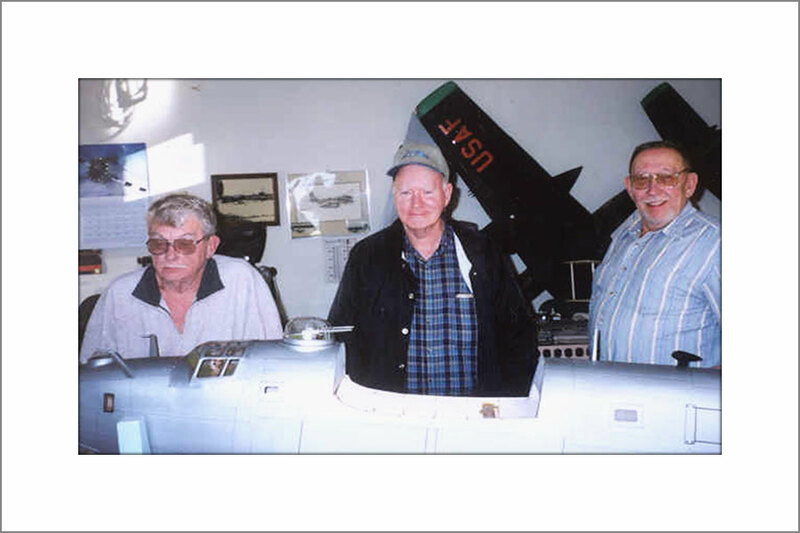 The craftsmen working on a scale aircraft: the late Glenn Grube, Charles Abbott, and the late Joe Grube. These skilled craftsmen fabricated the classic aircraft in their shop in Columbus, Indiana.